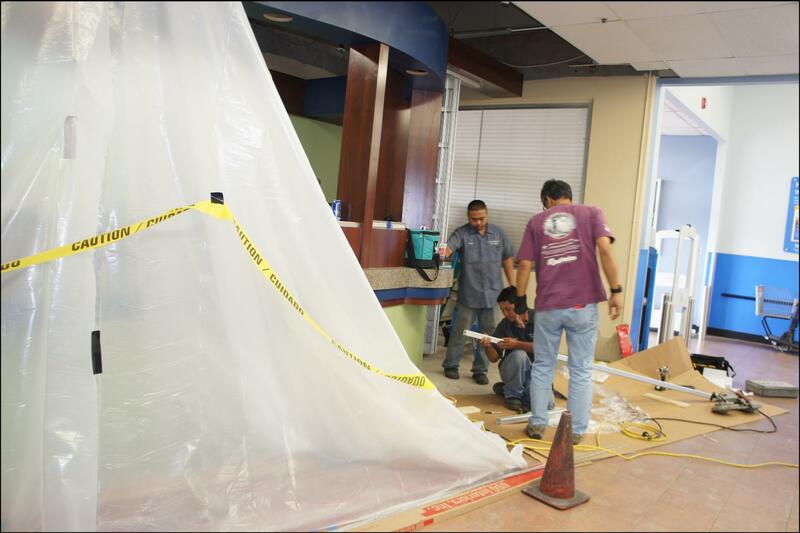 Construction for our two new branches is currently underway! 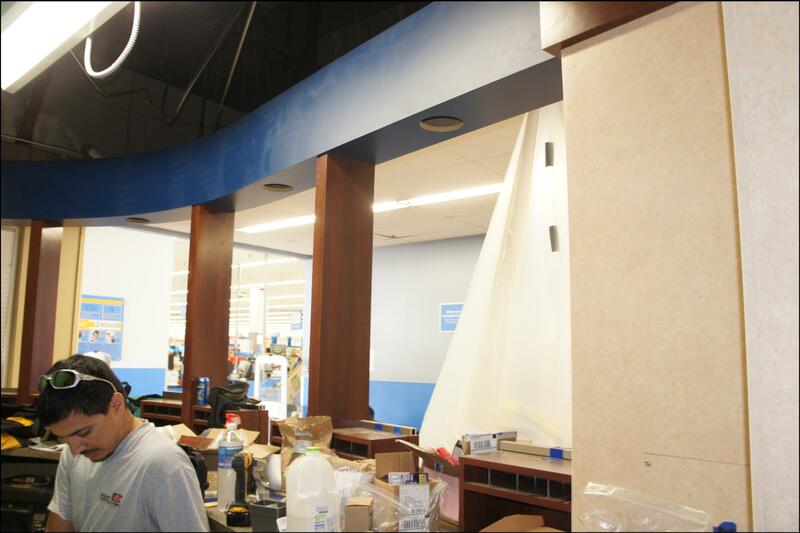 It’s truly amazing how much a space can transform, we feel like we’re on some kind of home improvement show! 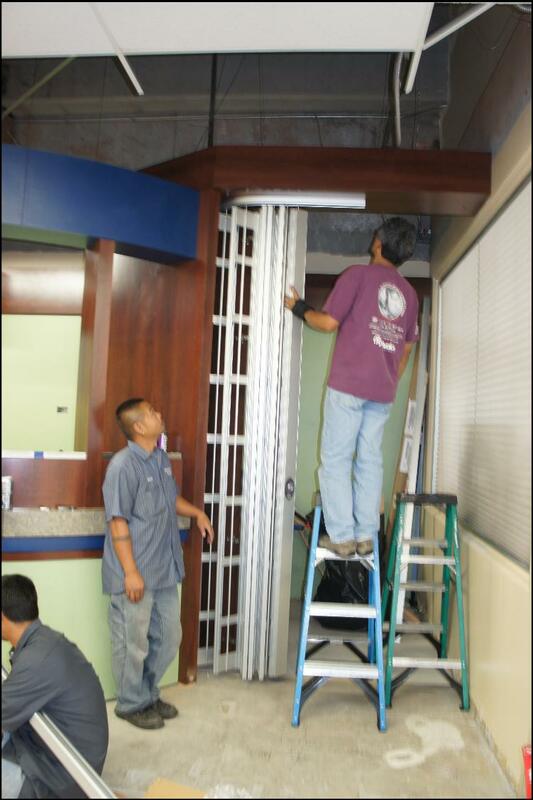 Our talented construction workers installing the security grate. The two branches are taking shape so quickly! They may be small in size, but they will be full service locations, filled with our friendly staff to help you with your financial needs. Join us at the Kunia branch on March 18th, then at the Mililani branch on March 25th! This entry was posted in CU News and tagged branch, construction, ewa beach, ewa beach credit union, hawaiian tel fcu, hitelfcu, kapolei, kapolei credit union, kunia, kunia credit union, leeward, leeward credit union, mililani, mililani credit union, nanakuli credit union, remodel, waipahu, waipio, waipio credit union, walmart, westside credit union by Hawaiian Financial Federal Credit Union. Bookmark the permalink. Are they going to open branch closer for people leaving the Aiea !!! we have to drive down to Mililani or Kunia you have branches so spread out from Aiea,Pearl City !!! Thank you for your question, Stephanie! We try to place branches in convenient areas, and are always looking for new ideas! Have you tried our new mobile app or home branching? These options might help you take care of your daily banking tasks so you don’t have to go out of your way too often! Please call us at 832-8700 if we can help you set either of those services up. Where are your locations on Maui? We do not have locations on Maui. However, you may resort to shared branching at either – Hawaii State FCU, Valley Isle Community or Hawaii USA FCU. You will need to know your HTFCU account number and have a valid picture ID. If you have any questions please call us at 808-832-8777 or toll free at 800-272-5255.